Freshworks, the leading provider of cloud-based business software, announced the launch of Free Web Forms for Freshsales — their successful CRM product launched in 2016. With the advent of inbound marketing, websites are no longer limited to being mere informational portals, they’re a gateway to building long-lasting relationships. There are many aspects of your website that contribute to the overall user experience. And a web form is one of the best ways to get input from website visitors. From contact forms to subscription forms, each one is an opportunity for visitors to reach out and hand you their information. “This fact, however, is often ignored by many businesses. For any business, finding hot leads are like mining gold, and website signups are your best source of such signups. Imagine that your website is like a hallway. You wouldn’t want to keep such leads waiting in the hallway, you would want them to walk up to you through the door. How would you that?” said Srivatsan Venkatesan, Head of Product, Freshsales. That’s where Web Forms come in. Web Forms from Freshsales allows you to create, and customize forms according to your business and brand requirements and then embed them within your website or emails to capture high-intent leads. Details filled into these forms are automatically captured in your Freshsales CRM, all without a single line of code. Classic Forms: Use classic forms if you are starting from scratch. Classic Forms allows you to build, customize, and embed a form on your website. Smart Forms: Use Smart Forms if you already have a form on your website. With Smart Forms, you can automatically receive form data in your Freshsales CRM. 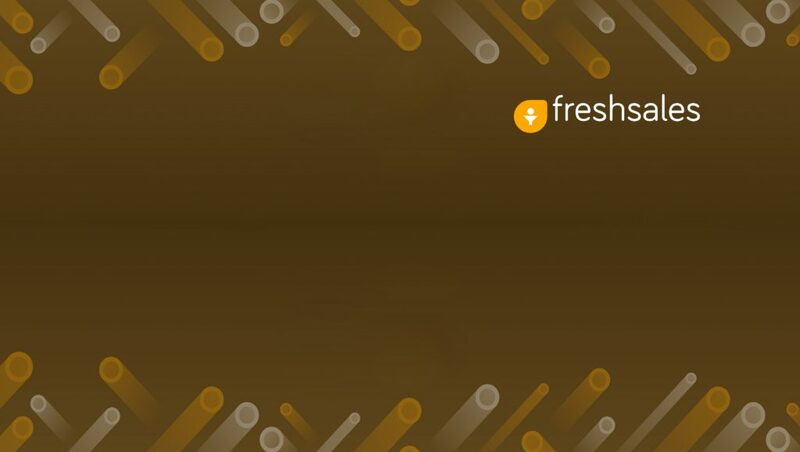 Freshsales CRM has garnered a loyal user base of over 10,000 customers since launching by virtue of its powerful yet user-friendly features, simple and highly intuitive UI, and its ability to scale with growing sales teams. Features like AI-based lead scoring, built-in phone and email, visual sales pipeline, activity capture and powerful reporting have helped businesses scale and optimize their sales processes. In 2017, the product also added powerful features such as Intelligent Workflows and Sales campaigns. Freshsales CRM is also ranked as one of the top CRMs for Small Business by G2 Crowd. “We integrated Web Forms into our site and it immediately improved our lead generation. Now each lead appears immediately in Freshsales and we can start working on it right away! If you have a form on your website make it a Web Form,” said Erik Endress, CEO, GetShare911. Web Forms in Freshsales is available immediately, and new users can sign up for a free, 30-day trial to evaluate the software. Sales Campaigns is available across all plans.